For anyone looking for vegan recipe inspiration I highly recommend you head on over to The Simple Veganista. My addiction to butter (I’ll argue until the day I die that it is far better than chemically-laced margarine spreads – YUCK!) 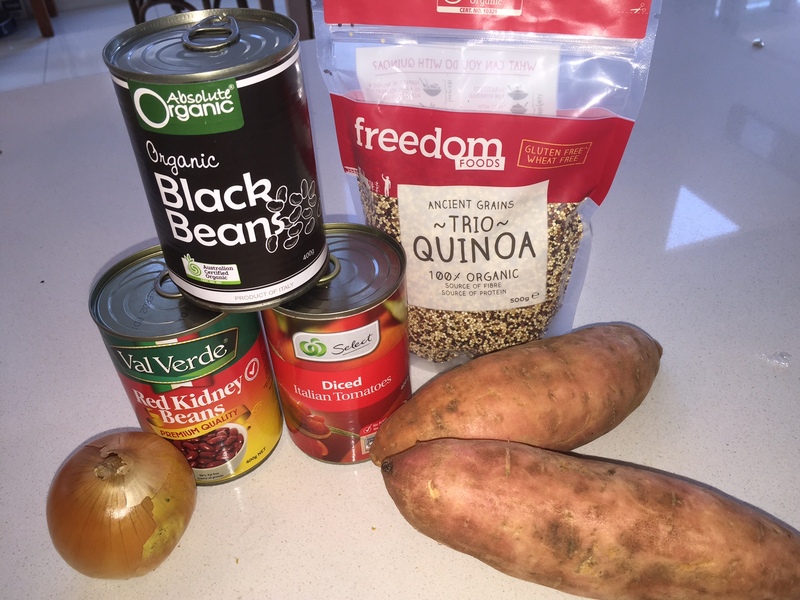 means that I could never follow a true vegan diet – but I do love to include vegan recipes in my week. The Simple Veganista is the best site I have found for inspiration; with a HUGE range of recipes, easy to follow instructions and great photography. 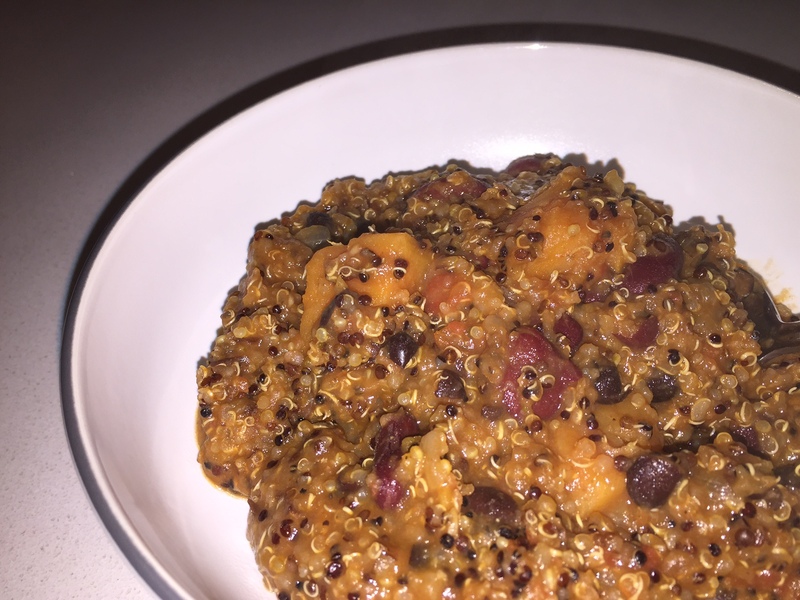 The sweet potato and quinoa chilli was the latest I tried. 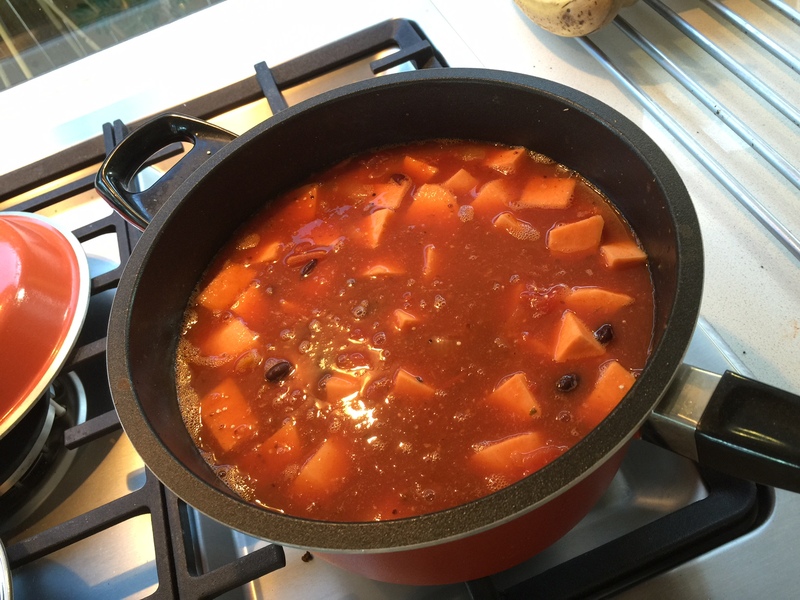 So simple (one pot cooking) and seriously yummy! It even got the tick of approval from my meat-loving Irish father. Head on over to the website for the ingredients and cooking instructions.